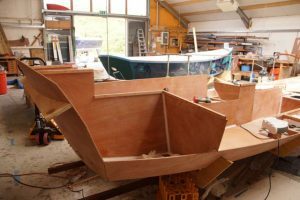 Swallow Boats started building Seatern in May 2013 and I visited them in June to see how the work was progressing and to discuss some of the outstanding issues, in particular the system for raising and lowering the mast. The lower part of Seatern’s hull was starting to take shape. 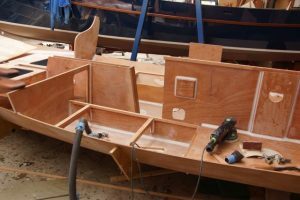 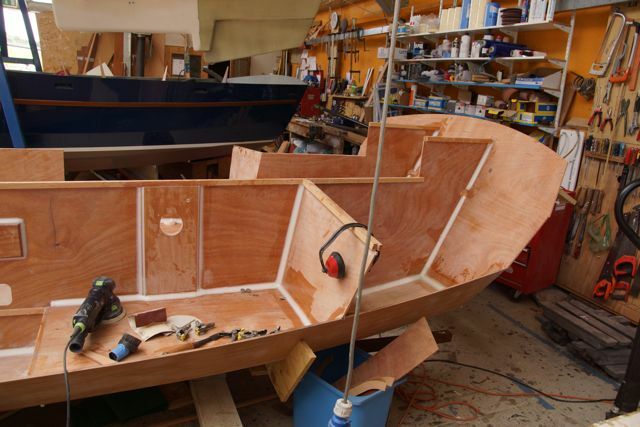 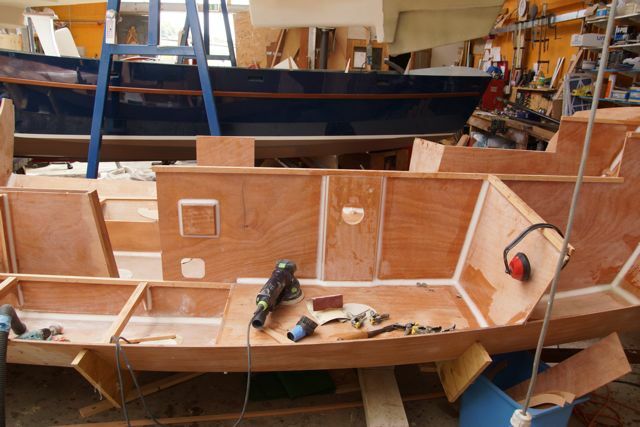 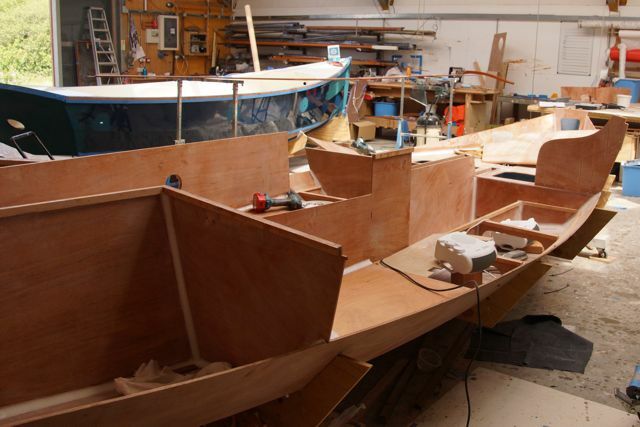 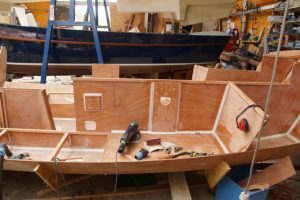 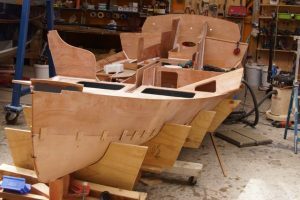 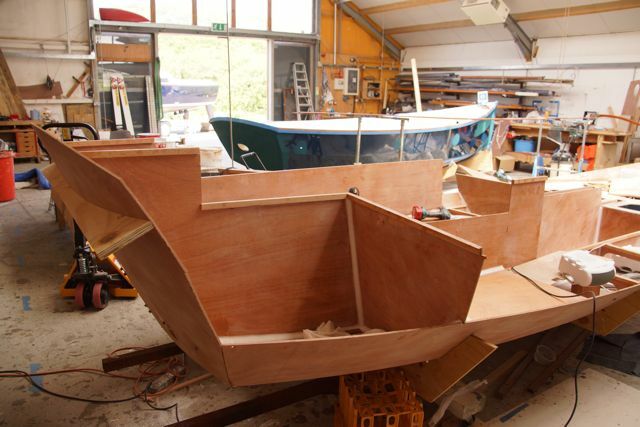 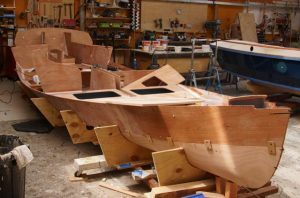 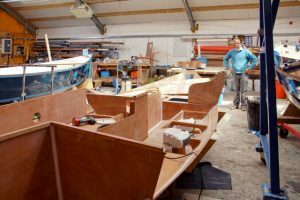 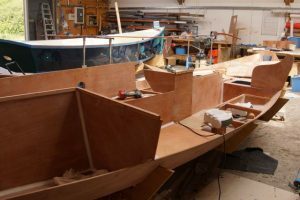 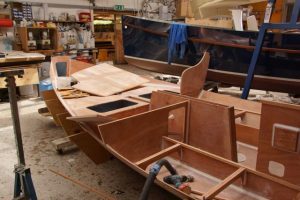 Matt would not commit himself to when Seatern might be finished, he was trying to recruit another boat builder. However we did talk about completion around the time of the Southampton Boat Show.